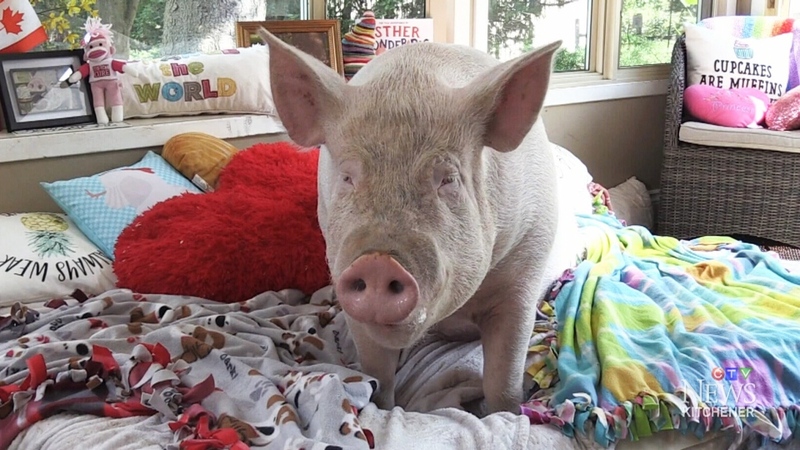 It’s wonderful news for Esther the Wonder Pig. The celebrity pig from Campbellville, Ont., successfully underwent surgery to remove four tumours and, as a precautionary step, her lymph nodes. Esther’s owners, Steve Jenkins and Derek Walter, said they’re relieved that their beloved pig is now cancer-free. “She’s been fabulous. She’s resting a lot. I’m sure she was sore, especially those first couple of days,” Jenkins told CTV Kitchener. The six-year-old pig was diagnosed with breast cancer in August. The discovery was made after her owners raised more than $500,000 to buy Canada's first large animal CT scanner for the Ontario Veterinary College at the University of Guelph. It was a devastating diagnosis, and Jenkins and Walter decided to be transparent with Esther’s millions of online followers about her condition. “All through this we’re trying to remain calm, but we’ve got three or four million people on the other side looking in going, ‘What’s happening? What’s happening? How is she? How is she?’” Walter said. Esther’s cancer was caught relatively early. Surgery lasted three hours, and vets said there is no need for chemotherapy at the moment. In the coming weeks, Esther will be spayed as an added precaution. 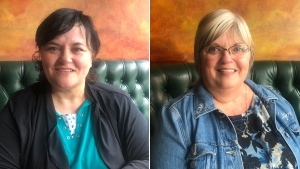 “(The procedure) should help us keep the hormones in check, which will ideally and hopefully prevent a reoccurrence from happening,” Jenkins said. Esther is taking things easy these days. On Friday, a video of her enjoying a hydrating massage was posted to her Facebook page. Esther has earned an international following over social media, which spawned a New York Times best-selling book about her life. Her dads originally thought they’d adopted a “micropig” expected to grow to 70 pounds. Now, she’s about 600 pounds. Thanks to Esther, the couple eventually decided to move out of their Georgetown, Ont. home and resettle to a rural sanctuary. Jenkins and Walter have also written about how raising Esther inspired them to adopt a vegan lifestyle. Esther was diagnosed with breast cancer in August.